There is a lot of debate about whether gutters are an absolute necessity on a house. 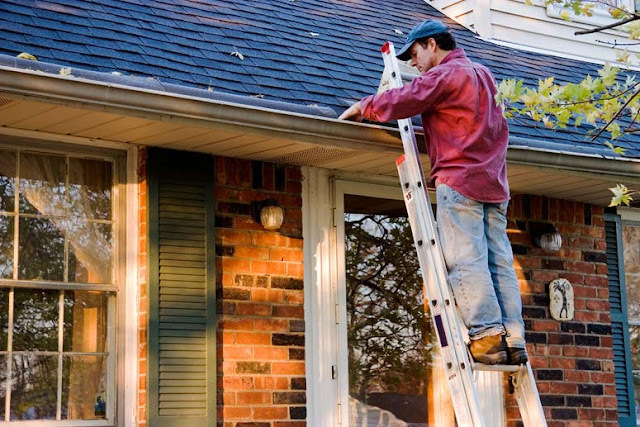 While it is possible that there will be some houses without gutters that have not experienced problems caused by water damage, the reality is that some water damage will occur in most houses that do not have them, or where the gutters are blocked or broken, according to a specialist in Texas. People who say that gutters are unnecessary often argue that the walls of a house and the ground around it will still get wet when it rains. However, the point of having gutters is not to keep walls and the ground dry, but to reduce the volume of water that comes in contact with the walls and falls on the ground, and also to reduce the force. When it is raining, the water from the roof will flow down a wall if there are no gutters and no overhang. Therefore, if the roof is the same surface area as the wall, it should be clear that the volume of water that comes into contact with the wall will be double what it would be if the water from the roof is being drained away. Even if the roof has an overhang that prevents water from flowing down the walls, the volume of water that comes into contact with the wall near ground level will be higher because the roof water will splash up when it hits the ground. Secondly, the force at which water from the roof hits the ground is considerably higher than that at which rainwater hits it. As water flows across the roof, millions of raindrops gather together and turn into a stream. That makes flow from the roof heavier, faster and more damaging. This effect can easily be seen by looking at channels that have been carved out of solid surfaces right where the roof flow hits the ground, while areas that just get direct rainfall will be undamaged. Guttering experts will point out that when basements get flooded in wet weather, this very often occurs in houses that have no guttering. Once the owners of these houses decide to install guttering, the problem disappears. Another benefit to having guttering is that people entering or leaving will not be drenched by the deluge pouring down from the roof when it rains. Despite what some people may believe, guttering plays an important role in protecting a house from water damage. It is relatively inexpensive, and it is somewhat foolhardy not to invest in it.